Canary Block Condos is a new per-construction Condo project located atat Front Street East In Downtown Toronto. The Project Including condos units, Retail Shops. Canary Block Condos Develop by Dundee Kilmer Developments. Canary Block Condos Will starting sell winter 2016. Canary Block Condos are an elegant midrise building, Canary Block Condos faces the new 18-acre Corktown Common park, right where the vibrant and colourful new Front Street Promenade will start. With its stunningly stepped architecture, Canary Park will define the intersection of Front Street and Bayview Avenue. Each building will face one street, offering residents spectacular views of the park, promenade, the lake or the downtown skyline. The façade for each building will be a dark iron spot brick that complements the masonry fabric of the historic Distillery District. The buildings will enclose a landscaped courtyard and public realm offering diverse community experiences for residents and visitors. 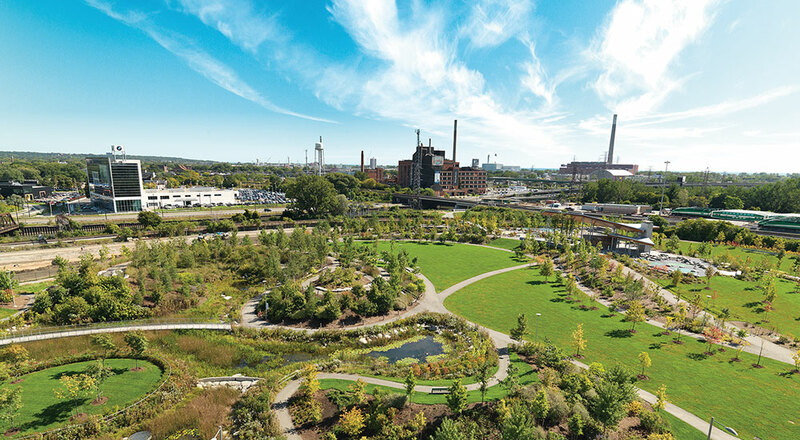 The centrepiece of Canary District, Corktown Common park, is an 18-acre active and inviting greenspace that provides residents and visitors with a breath of fresh air in the city. This beautiful park extends to the banks of the Don River and offers inspiring experiences along the river’s edge as well as spectacular views of downtown and Lake Ontario. A wide variety of activity areas, including a multi-functional Pavilion, offers exciting activities like community events, BBQ’s and block parties. Focused on the principles of healthy living, Corktown Common park offers areas for dog runs, soccer, lacrosse and bird watching. The park connects with existing bike and pedestrian pathways in the Don Valley Trail system, and serves as a starting point for the extensive 1800 km trail network that serves southern Ontario from Oakville, to The Beach, to the Brickwork farmer’s market. Canary District Community will feature an incredible mix of residential buildings, Commercial and Retail, a brand new YMCA, a new George Brown College Residence and a planned transit line.